‘Twas the season for celebration, and Riverbank certainly had a wonderful time doing so! Pasta was plentiful, chocolate was everywhere and the large pot of Mexican Punch was comforting and delicious – of course, with Tequila added at your own discretion! Caricaturist artist, Rich Welch, was a huge hit as well as the photobooth and wine and cheese pairings by Pair Wine Tours. 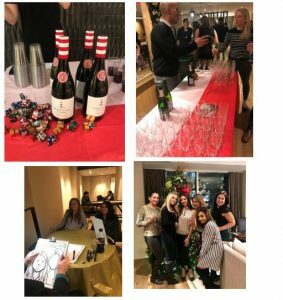 Thank you to all of the residents who celebrated the holiday season with us. Cheers to you!